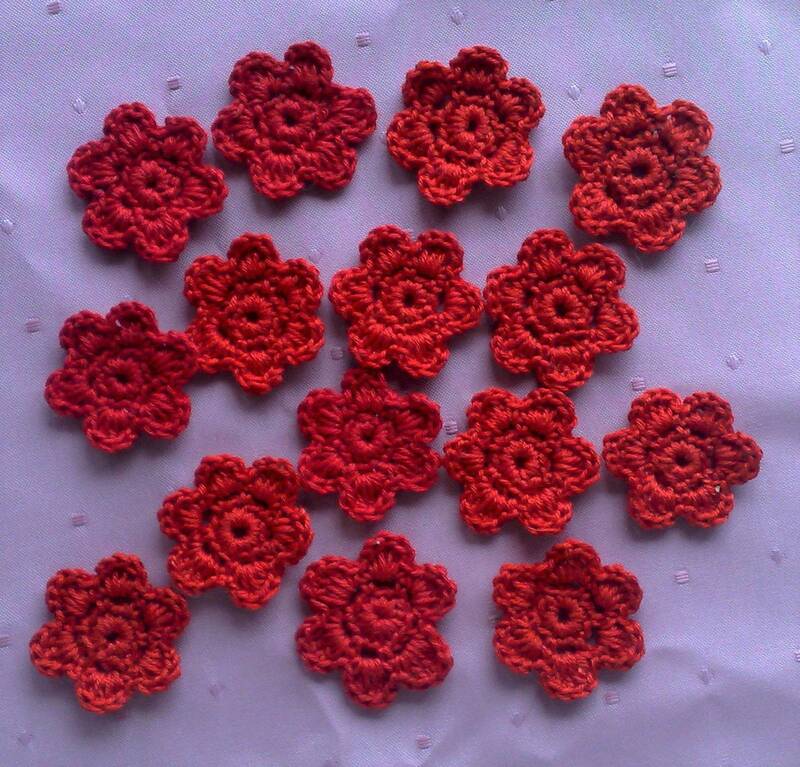 Looking for a Little Something to Give Away? 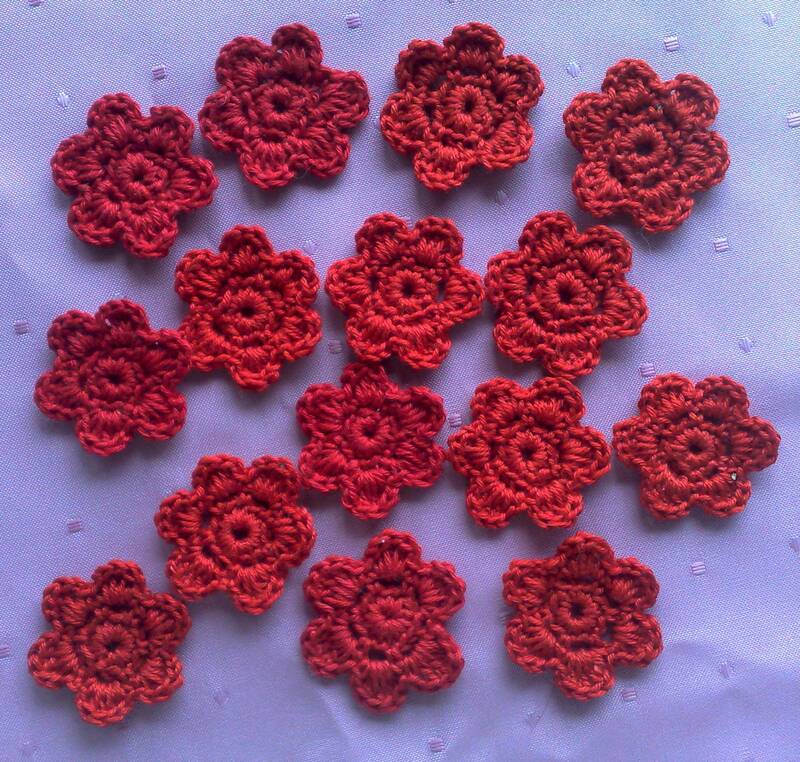 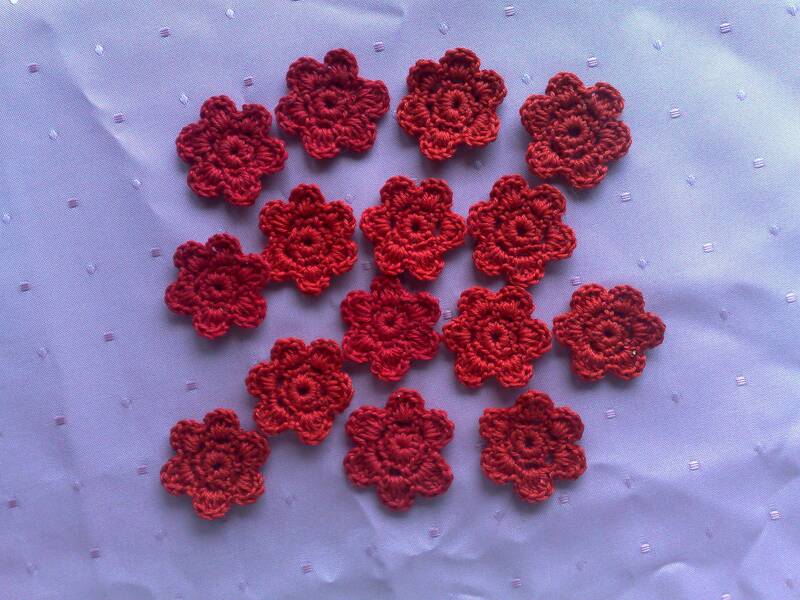 Then these great red Crochet Flowers Appliqués are the ideal Gift idea! 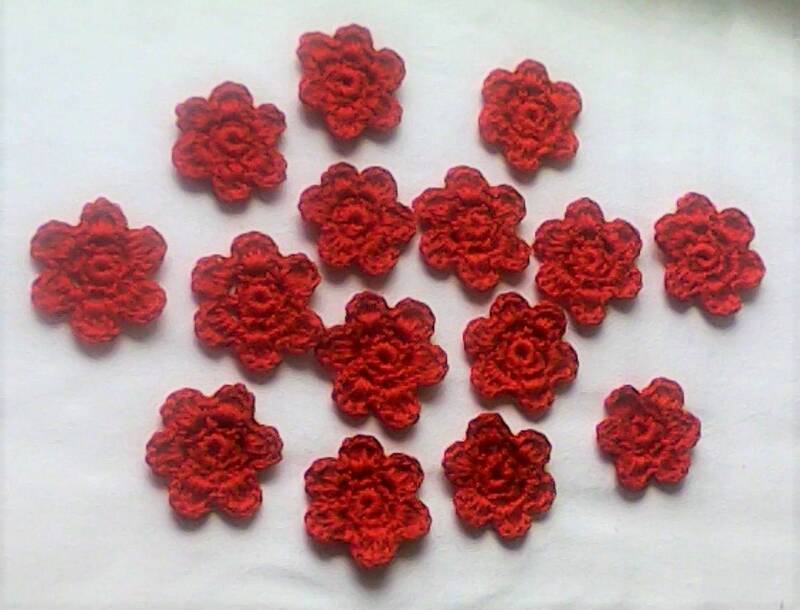 These red Crochet Flowers Appliqués are perfect for Decorating Skirts, Blouses, Sweaters, Caps, Scarves, bags, gloves, Baby clothes, Children's Clothes, accessories, pillows, home Décor, pillow covers, blankets, bags, Children's room, baby clothes, Cards Or Hair clips. 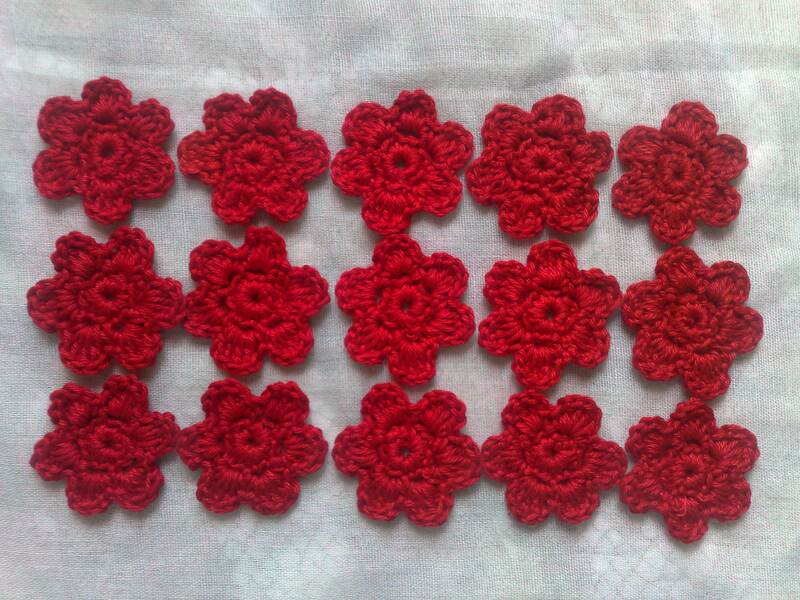 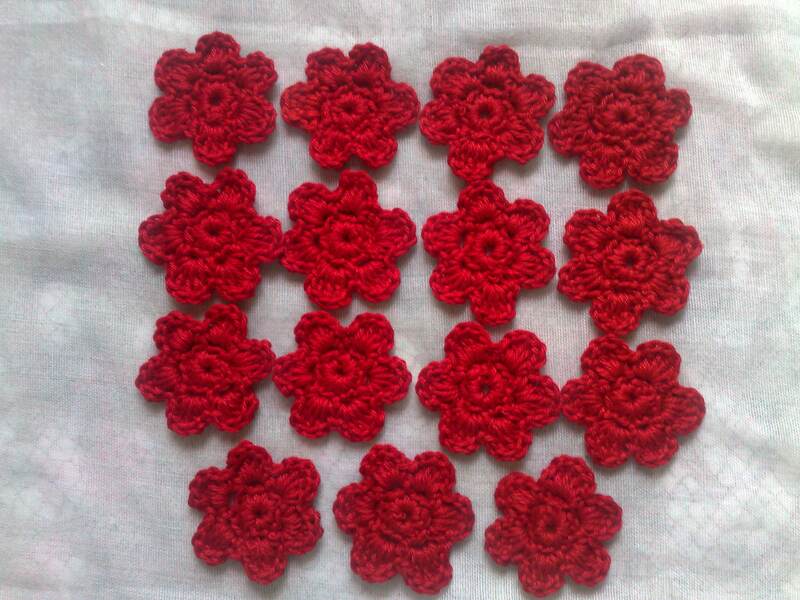 The red Crochet Flowers applications are made up of their own as a Patch to Sewing various original Decorations. 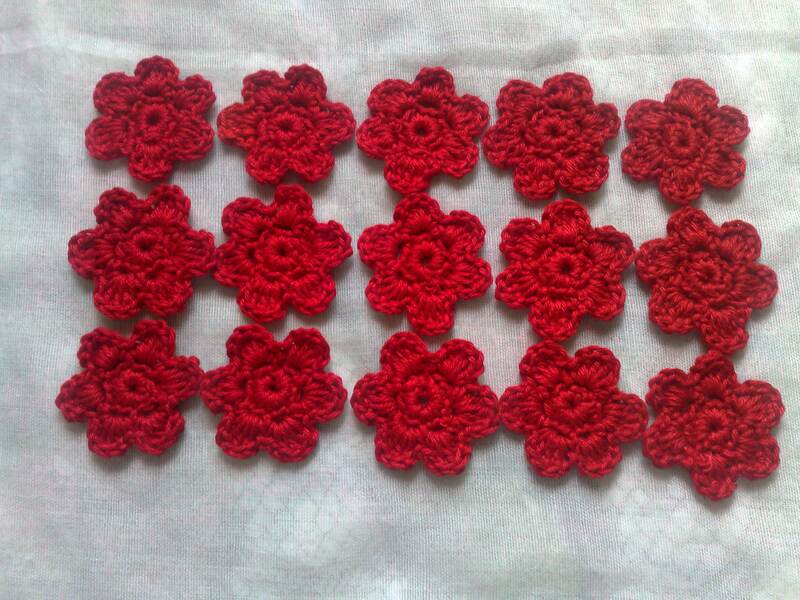 There are endless Ways to Use it. 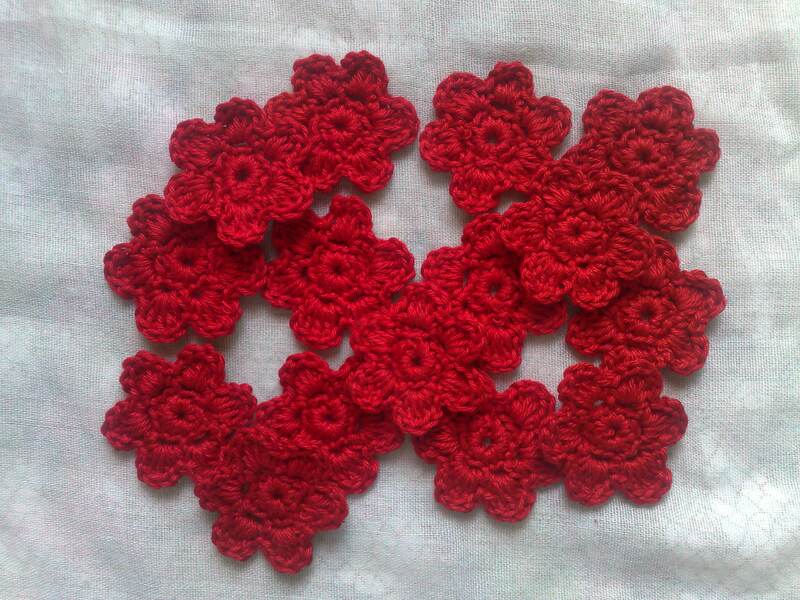 The red Crochet Flowers Appliqués were made in a smoke-free and animal-free Environment.